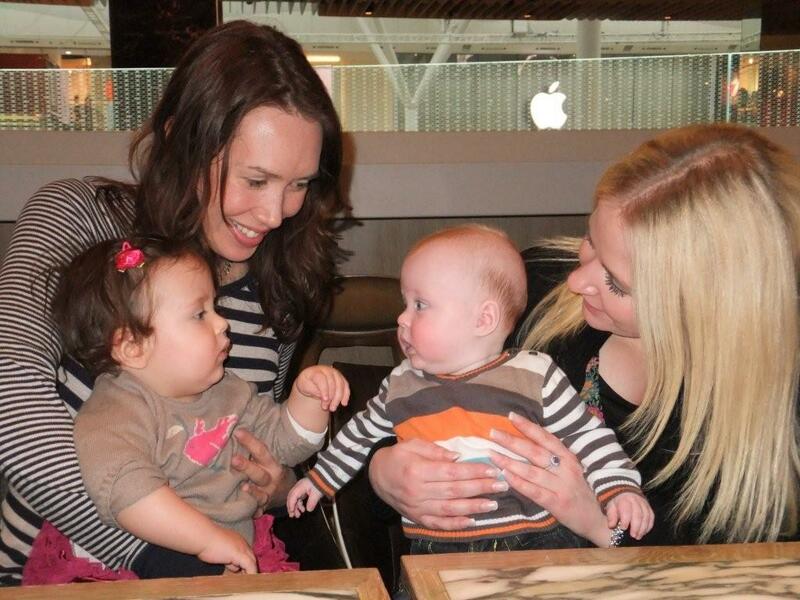 The last time their mums were in the Westfield together, it was for the Samsung Pink Ribbon high tea in October 2009. Fast forward a year and three months and here are Helen Farrier and Miki Haines-Sanger’s mini people – Mia Magnolia Holt and Oliver Farrier-Rampton! Mia Magnolia was definitely taken by Oliver’s charm and good looks. The pair of them set off on a buggy date to Bebe Bisou where they were rather amazed by a soft toy hammer with ‘crash bang’ sound effects. Oliver seemed delighted by the sounds, Mia was mildly concerned and very glad to have a gentleman to protect her, even if he is still just six months old! Here you can see the babies having a good old chubby cheeked chin wag.